Efforts by American Indian tribes in North Dakota to provide free identification with street addresses to thousands of members in advance of Tuesday's election are cutting into the number of Native Americans who could potentially be turned away at the polls for lack of a proper ID under recently tightened state rules. 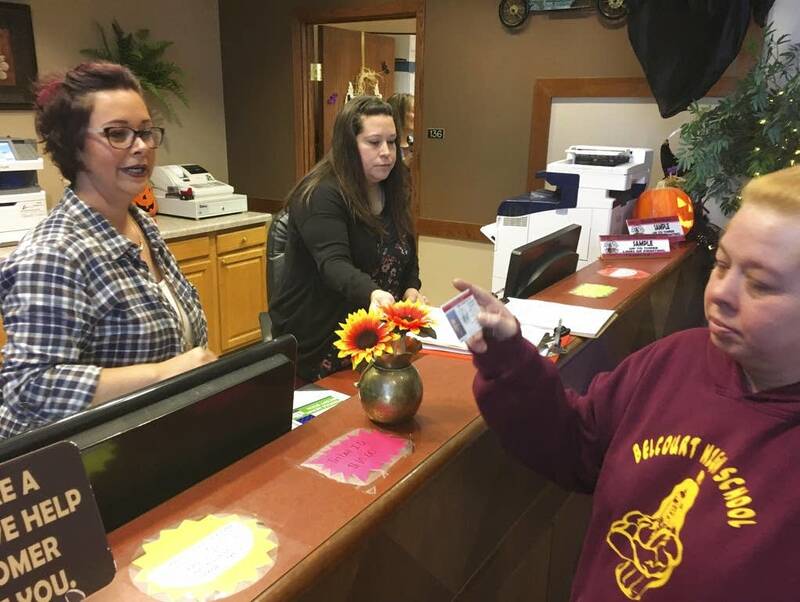 The free programs launched with the help of groups including the Lakota People's Law Project and the Four Directions nonprofit so far have provided more than 2,000 voters on four reservations with the proper credentials. The effort to ensure a strong Native American vote comes amid uproar over what some believe is an attempt to suppress their votes. "We're at our best in crisis," said Phyllis Young, an organizer on the Standing Rock Sioux Reservation for the Lakota People's Law Project, adding that the issue "is only making us more aware of our rights, more energized, and more likely to vote this November." Stricter voter ID rules are taking effect after a U.S. Supreme Court ruling earlier this month allowed the state to continue requiring street addresses, as opposed to other addresses such as post office boxes. Street addresses have never been important in the Native American culture, and many tribal members aren't aware of their address, don't have a provable one because they're homeless or stay with friends or relatives, or can't afford to get an updated ID with a street address assigned through the statewide 911 system. A federal lawsuit filed Tuesday by the Spirit Lake Sioux also alleges that the 911 system on reservations is "characterized by disarray, errors, confusion, and missing or conflicting addresses." It seeks to have the residential address requirement ruled unconstitutional as it applies to Native American voters, and asks for an emergency order while the lawsuit proceeds barring the state from enforcing the requirement on Native Americans on or near reservations or who are at risk of disenfranchisement. The nonprofit Brennan Center for Justice notes the lawsuit seeks a more limited injunction, something an appeals court indicated in an earlier lawsuit might be a more successful tactic. State officials say not requiring street addresses could lead to people voting in the wrong district and to fraud. The Supreme Court ruling in a lawsuit filed by Turtle Mountain Band of Chippewa members in 2016 sent tribes scrambling to make sure tribal members' voices will be heard , especially in the high profile U.S. Senate race between Republican U.S. Rep. Kevin Cramer and Democratic incumbent Heidi Heitkamp. Changes to North Dakota's voter ID laws came just months after Heitkamp's win by fewer than 3,000 votes with the help of Native Americans in 2012, though Republicans say that had nothing to do with updates aimed at guarding against voter fraud. American Indians make up about 5 percent of North Dakota's population. The Turtle Mountain Chippewa, Standing Rock Sioux, Spirit Lake Sioux and Three Affiliated Tribes all have launched programs to provide free IDs with street address to tribal members in the wake of the Supreme Court ruling. As of Tuesday, the programs had provided 1,050 IDs on the Turtle Mountain Reservation, more than 380 on the Spirit Lake Sioux Reservation and 440 on the Standing Rock Sioux Reservation. The Three Affiliated Tribes had provided only 140, but the program had just been launched the day before. The total of more than 2,000 IDs is approaching half of the roughly 5,000 Native Americans that U.S. District Judge Daniel Hovland has said don't possess a qualifying voter ID under state rules. He based the figure on research by UCLA and University of New Mexico professors who have been expert witnesses in several voter ID cases across the country. Tribes believe the number is much higher, perhaps even double the judge's estimate, though they base it in part on anecdotal evidence. They plan to continue issuing free IDs through Election Day, including stationing people at the polls to help those without qualifying ID on at least two of the four reservations. The effort is largely being financed through donations. The Native American Rights Fund has given the four tribes a total of $50,000, and a GoFundMe site set up by the Standing Rock Sioux had raised more than $200,000 from more than 4,300 donors as of mid-day Wednesday. Alexis Davis, 19, chairwoman of the Turtle Mountain Youth Council, has an ID with a residential street address but said many of her friends do not. The voter ID issue has made them more resolved to be a part of the election process, she said. "It's like, oh you want to make this harder for me? Oh, you want to take away my rights?" she said. "It's like, no, now I'm going to fight that, and I'm going to be more resilient, and I'm going to make sure that I'm going to go vote."